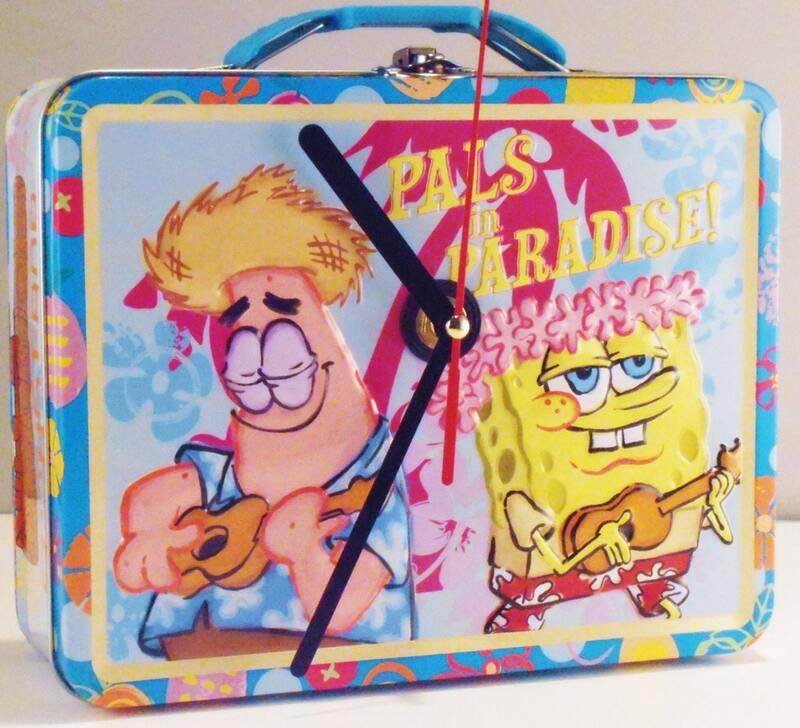 Sponge Bob Collectible Lunch Box Tin which has been re-purposed to a wall clock. 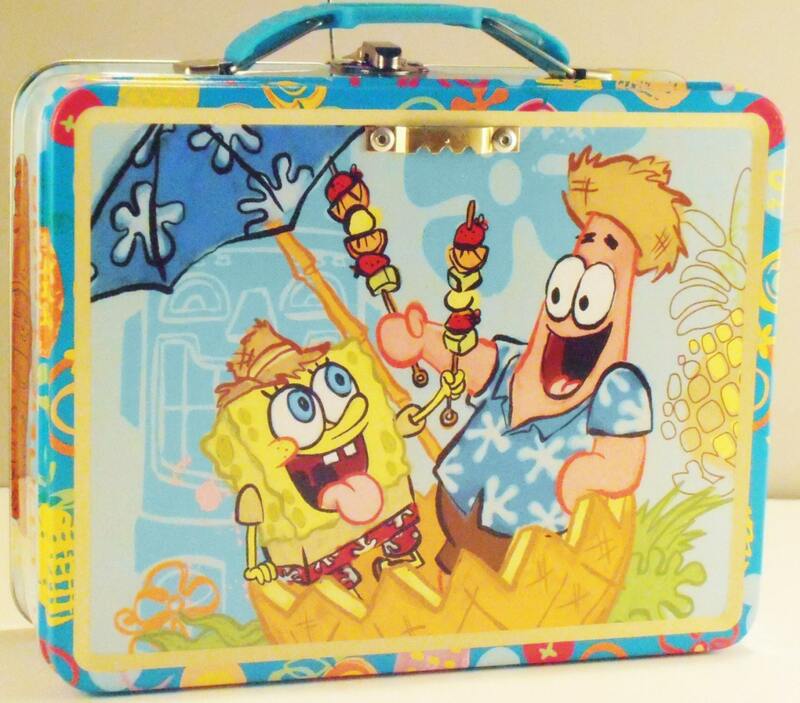 Great for any Sponge Bob fan to hang on any wall or can also be displayed on a desk, night stand, or table. Requires one AA battery.